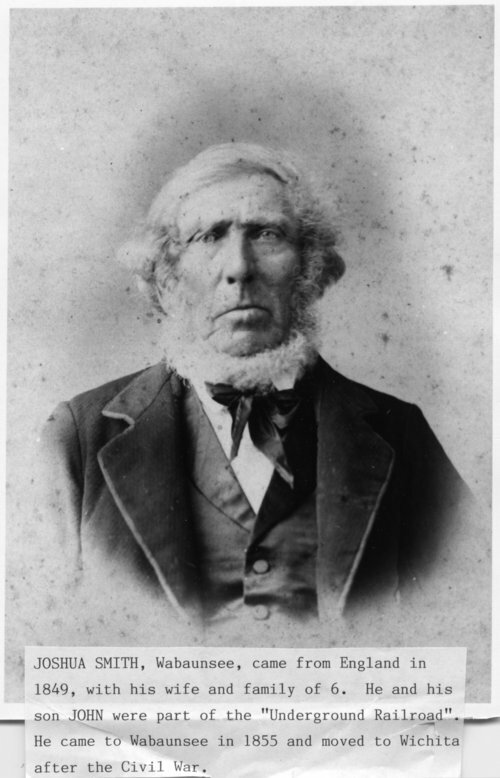 This is a photograph of Joshua Smith who came to Wabaunsee, Kansas, from England in 1849 with his wife and family of six. He and his son John were part of the Underground Railroad. He came to Wabaunsee in 1855 and moved to Wichita after the Civil War.